The Foundation Level qualification is aimed at professionals who need to demonstrate practical knowledge of the fundamental concepts of software testing. Holders of the Foundation Core certificate are eligible to continue on to higher level software testing qualifications, certifying themselves at Core Advanced level, and then at the Expert level. The tester learns the basic terminology related to testing, the reasons why testing is required, what objectives are and the principles of successful testing. The tester understands the test process, the major activities and artifacts. The tester learns the test process itself and how it interacts with software development and maintenance life cycles. The tester learns about test levels, test types and impact analysis when working with maintenance testing. The tester learns the various static techniques of testing without executing the software, such as review and tool supported analysis of software. Based on the tester’s understanding of the test process and its interaction with various software development life cycles, the tester is able to use systematic and heuristic techniques to derive test cases from other software artifacts and the software itself. Both behavioral and structural techniques are covered. Test management is covered from a skills perspective, focusing on test execution and defect reporting and handling. The tester learns what shall be included in the various test documentation artifacts, such as test plans, designs, and reports. The tester knows that testing can benefit from tools in various fields such as requirement management, configuration management, test management as well as dynamic coverage, test execution and performance testing. Use a common language for efficient and effective communication. Understand established concepts, the fundamental test process, test management principles, test strategies/approaches, risks and principles to support test objectives. Autonomously analyze and prioritize both functional and non-functional specifications, such as performance efficiency and usability, design tests using established techniques for functional tests at all test levels for systems of small to medium complexity. Interpret and execute tests according to agreed test specifications and analyze and report on the results of tests independently. Write and communicate clear and understandable incident reports. Contribute in reviews of the test basis and test artifacts for systems of small to medium complexity. Assist in the selection and implementation process of testing tools for various testing activities. In general, the Foundation Tester has acquired the skills necessary to enable further development in the ISTQB certification scheme. The Foundation Level qualification is aimed at IT or business people who would like to start a career as software tester, or a person with test experience who wants to demonstrate his testing knowledge and skills. Experience in Software Testing is recommended. 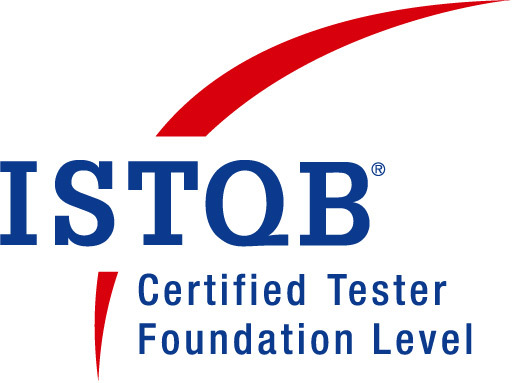 The ISTQB® Foundation Certificate is a prerequisite for continuing with many of the other ISTQB® certifications.